Testimonials We were so fortunate to be able to work with Greg again. We were so fortunate to be able to work with Greg again. We were so fortunate to be able to work with Greg again. As our realtor he helped us sell our house and then upgrade to our forever home. His analysis was a precise exercise in which his knowledge of the neighborhood provided insight into our market. This resulted in a final sale very close to our original asking price. Greg has a very kind demeanor, his professionalism, knowledge and honesty, and hard work ethic are much respected and appreciated. I highly recommend him and will only use his expertise on any and all real estate jobs I have in the future. Greg Fox is the BEST!!!!!!!! Serving the San Diego County real estate market since 1988, Greg is experienced in skilled negotiations pertaining to short sales, working with buyers and sellers, the luxury home market, 1031 exchanges, investment properties, land purchases, foreclosure sales and getting properties rented. Greg has now sold two homes for us. He is professional, personable and exhibits concern for his clients. I would not hesitate to recommend him. He was a pleasure to work with! I would highly recommend him to my friends that are selling their homes, or are in the market to buy a home. I felt that he always looked after my interest as a seller. I was able to sell my home for a much higher price, and he always kept me informed of status. Overall very happy. Greg is extremely knowledgeable and was able to make this a simple, painless process. Greg was the listing agent on this home, so he had to walk the tightrope between representing the seller and representing the buyer, us. We think he did a terrific job, guiding us through a few sticky issues where it was resolved successfully between buyer and seller. 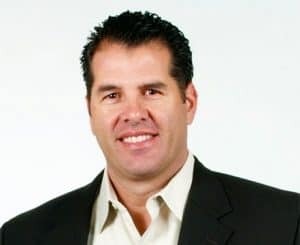 Greg is very expert with real estate, particularly Alpine, and we would definitely recommend him to anyone looking to buy or sell real estate in Alpine. Greg & Patti did an excellent job filling me in on the legal details I was unfamiliar with to make the purchase as smooth as possible.